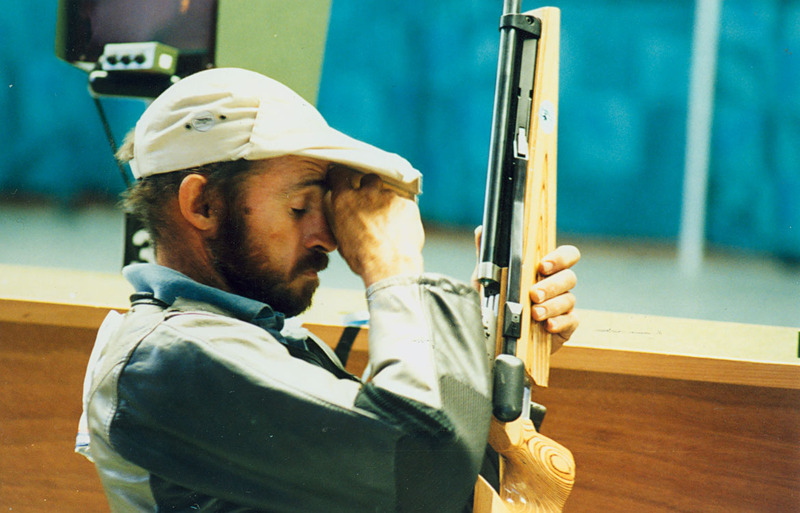 Shooter Ashley Adams rests between shots during the 1996 Atlanta Paralympics. In 2004 at the Athens Paralympics, Adams won silver in the 50m prone rifle event with a score of 697.8. That score would have seen him finish sixth in the same event at the 2004 Olympics, ten places ahead of Australia’s top Olympic shooter at those Games. Adams was never considered for Olympic selection, even though his event was identical.